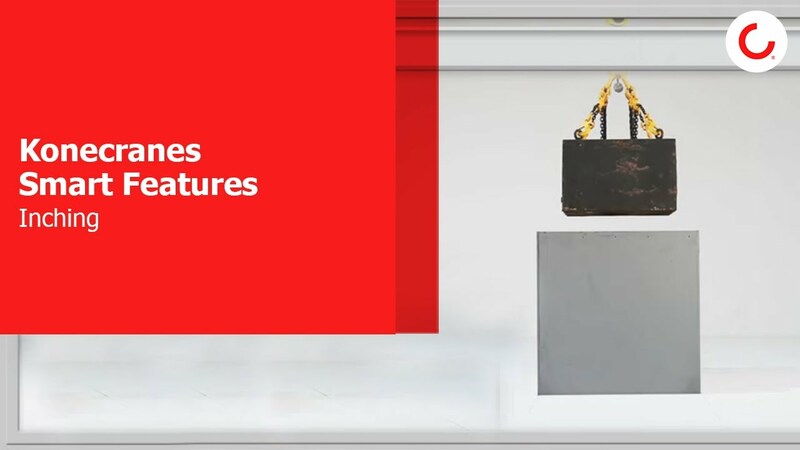 We have developed these technologies in real-life conditions to deal with operational challenges faced every day by crane operators around the world. Each Smart Feature can be applied on both old and new cranes. INCHING allows for very precise incremental movements when approaching the load destination. It can be activated for both hoisting and traveling motions. Inching increments can be preset, ranging from 2 to 100 mm. MICROSPEED allows for very slow movements to improve load control. It can be activated for all motions, turning large joystick movements into slow and precise load movements. SHOCK LOAD PREVENTION allows for smooth load pick-up. The hoist drive monitors the load. If it is picked up abruptly, the hoisting speed is automatically reduced until the load is lifted. This prevents shocks to the load and the crane, reducing wear of the crane’s steel structure and mechanical parts. SLACK ROPE PREVENTION is an important safety and productivity feature when lifting devices such as lifting beams are used. As the load is lowered, the hoist drive detects when the load has landed and stops the movement. The hoist ropes do not slacken so the ropes do not slip out of the hook block and the lifting device does not tip. When lifting a load simultaneously with two hooks, HOISTING SYNCHRONIZATION controls both hooks so they run at the same speed, even where there is imbalanced loading between the hoists. When a load is less than the maximum rated load, EXTENDED SPEED RANGE allows faster lifting and lowering speeds. The available hoisting speed range is extended from the rated nominal speed. This Smart Feature reduces load cycle and waiting times. ADAPTIVE SPEED RANGE is designed to adapt to the weight of the load, providing the "right speed at the right time." 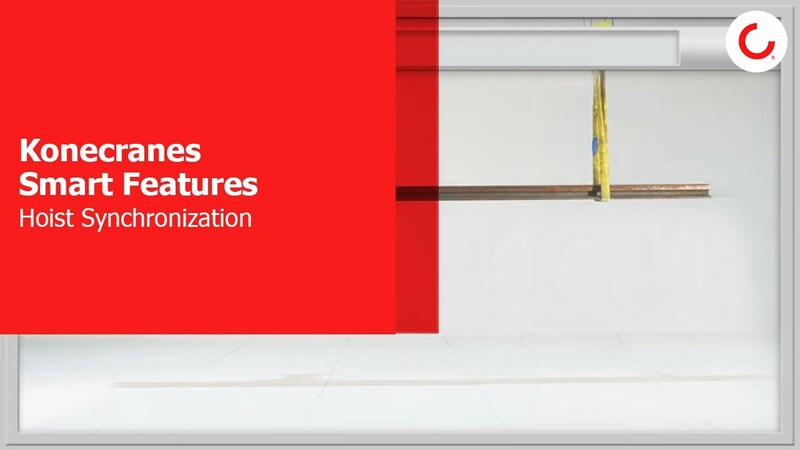 Positioning and Area Control Features help the crane operator position the load more efficiently and accurately, as well as adapt the crane’s working area to the physical layout of your production line. TARGET POSITIONING allows up to 120 pre-set target positions and eight home positions. The operator selects the load’s target address and presses the “target positioning” button. As long as the button is pressed, the crane drives itself toward the selected target position. The hoist can automatically raise the load to a defined travel height. When the load reaches the target position, the hoist automatically lowers the load to a pre-defined height. END POSITIONING is designed to speed up the final positioning of the load to an X-Y coordinate. It is especially useful in work cycles involving stationary machines or structures where the operator must repetitively position loads in the same places. The operator can define up to 16 end positions. When the load is moved into a positioning window around the target and the "end positioning" button is pressed, the crane moves the load to the center of the window. Then, the operator takes over manually and lowers the load. WORKING LIMITS can be thought of as temporary virtual walls at which the crane stops automatically. Working from the controls, the crane operator sets a limit to trolley, bridge or hoist motion thus creating a virtual wall in a vertical or horizontal direction. Several Working Limits can be defined according to the task at hand—protecting people on a temporary walkway or a truck to be loaded, for example. PROTECTED AREAS are no-go areas that the crane operator cannot override or adjust. Up to 16 rectangular protected areas can be defined, allowing you to protect valuable production machinery or busy working areas from possible operator error. 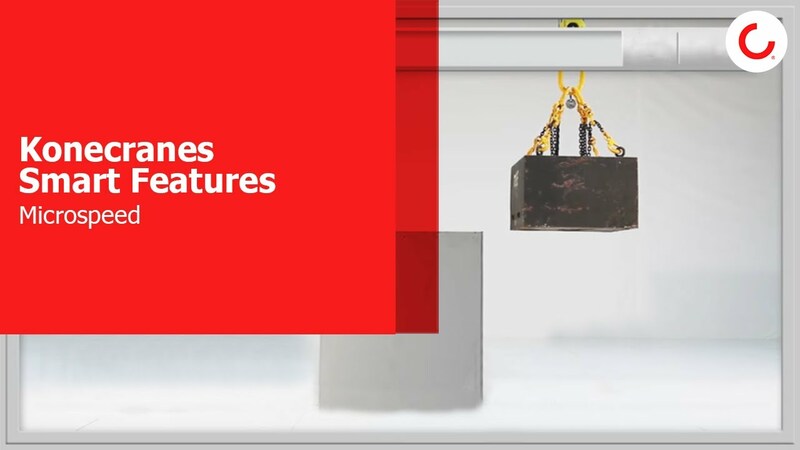 Contact Konecranes to see which Smart Features work for your existing or new crane. *A. Khalid. W. Singhose, J. Huey and J. Lawrence: Study of operator behavior, learning and performance using an input-shaped bridge crane. Proceedings of the 2004 IEEE International Conference on Control Applications, 2004, pp 759-764. Inching provides a way to approach a load destination with great accuracy. It allows the crane operator to do small inching movements one by one. When Inching is activated, the movement will stop after it has travelled the set inching distance. Micro Speed makes load control more precise. This function turns large joystick movements on the operator interface into slow and precise load movements. This is especially helpful in final load positioning making the operation safe while protecting the valuable load. If the crane is equipped with two or more main hoists, there may be need to operate two of them at the same time. When the Hoisting Synchronization mode is in use, both hoists run and stop at the same time in order to keep the load in alignment as when the hoisting was started.